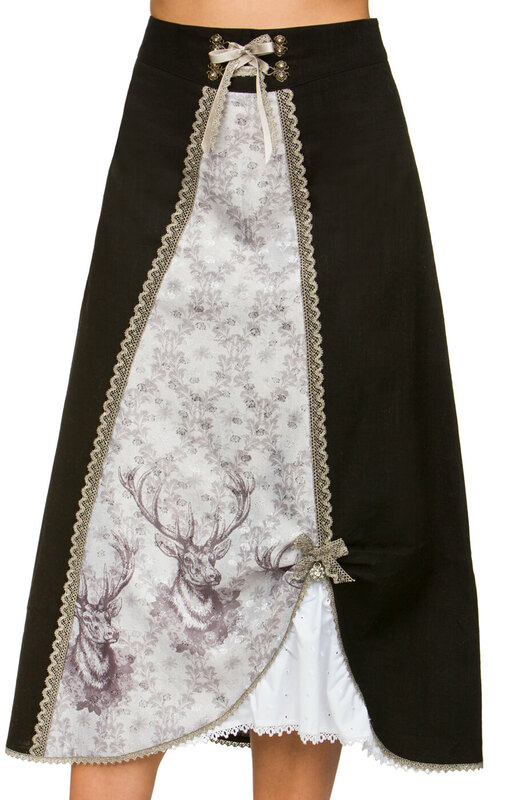 Trachten Skirt Kea in Black. 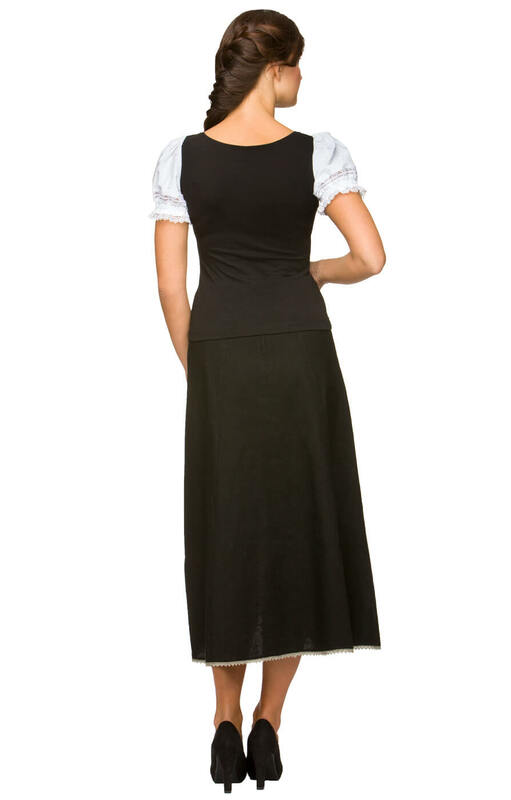 This full-length dress is all about authentic costume styling. 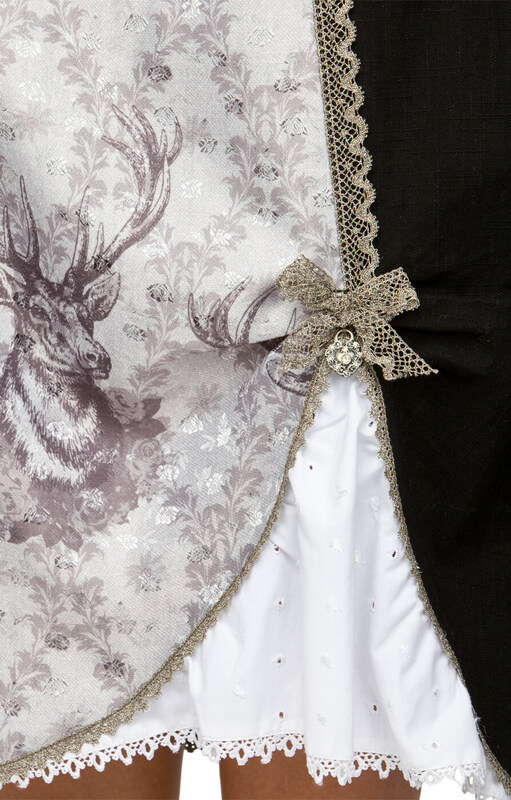 Sophisticated black is perfectly set off by traditional lace edging and ivory lace detailing in the bow at the waist. 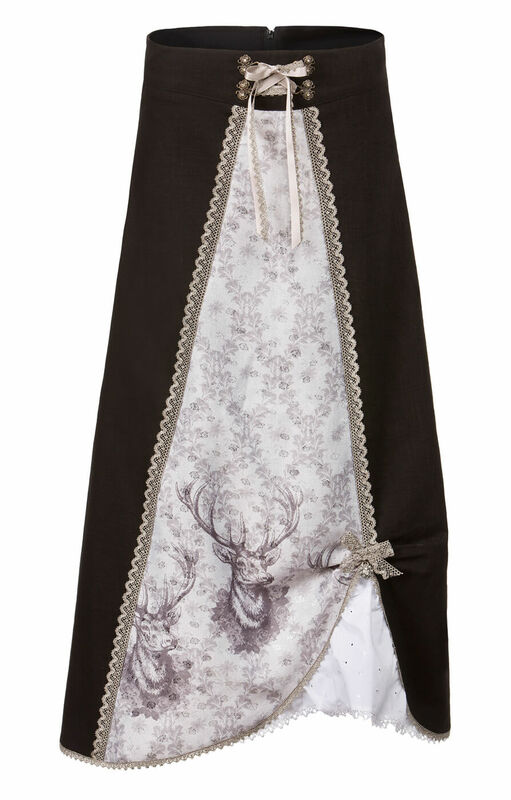 On the skirt-front, a delicate toile-inspired print harks back to traditional Bavarian styles, but is personalised by two trademark Stockerprint stag's heads - a lovely updated touch! 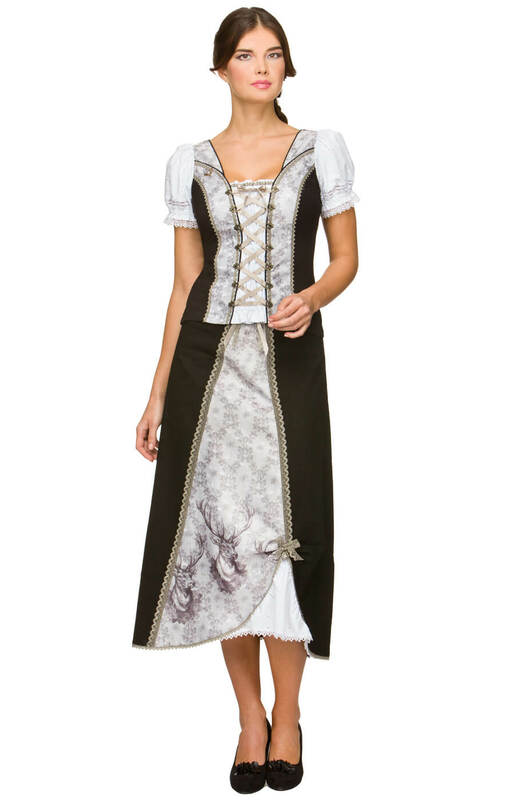 There's a real elegance about this dress, which is a perfect choice for any formal occasion or Oktoberfest bash. Es ist ein super Kauf gewesen und kann ihn weiterempfehlen. Die Qualität und die Verarbeitung des Rockes ist sehr gut. Das Preis-Leistungsverhältnis ist gut.